development. And lowering taxes just is not the plan. Niagara Falls - When one considers the condition of city government in particular, and of local politics in general, it's only appropriate to use a children's television program in order to illustrate a teachable moment regarding Mayor Paul Dyster' abuse of taxpayer casino cash. There is a sing-song learning lesson on the Sesame Street show called "One of these things is not like the other." It features for example three objects such as an apple, a banana and a shoe as the host sings: "One of these things is not like the other one of these things does not belong." On Sesame Street the visuals are easy to grasp because they're prepared for a pre-school audience. In the Dyster administration the casino cash visuals are quite tricky with those visuals appearing to be exactly alike, one to the other, with only Paul Dyster able to solve the difference. Woe to anyone – elected official, media, resident – who tries to tell the mayor, he's wrong in his assessment, because the mayor will then spout nonsense about "I'm the casino cash gatekeeper…I won't allow state law 99-H to be violated!" Consider these three items: Isaiah 61 allocation for a condemned fire hall, Community Missions allocation to defray a tax lien, and city public safety overtime allocation. Which one of these three was rejected by Dyster as not based in economic development and therefore ineligible for casino cash funding? Yes, Mayor Dyster considers a casino cash award of $500,000 to fix up an old firehouse for the not for profit housing rehabilitation program operated by Isaiah 61 and a cash award to Community Missions of $150,000 to help relieve an IRS lien to be matters of economic development. Also considered casino cash eligible as matters of "economic development" are tree trimming, tree stump removal, re-bidding the train station, constructing the train station, new automobiles for Code Enforcement, police overtime in the tourism district, parking consultants, pot hole machine rental, repaving the city hall parking lot, and the building of cart paths on the golf course, to name but a few. Just this week the mayor added the $23,000 purchase of police body cameras to his list of eligible casino cash expenditures based, he claims, on economic development. So, no overtime for police and fire with casino cash, but overtime for police in the tourism district is okay and police body cameras are also acceptable casino cash expenditures. We aren't going to debate the pros and cons of police body cameras, that's not the subject of this article. We're questioning the absolute capriciousness, the pure whimsy, with which Dyster approaches the taxpayer casino cash account. That's because Mayor Dyster wants you to be confused. As long as the casino cash is confused and the legalities of the spending are unsettled law then he's free to refer to himself as "the gatekeeper of the casino cash account." Nowhere in all of this foolishness is the Dyster administration hypocrisy more on display than in how the city controller and mayor first funded and then de-funded (2011) and then re-funded (2014) the positions in the city's economic development department. 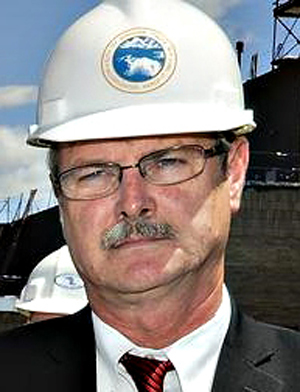 Prior to 2011, the economic development positions were paid for by casino cash. In 2011, Dyster declared that this was inappropriate use of casino cash and that salaries should not be funded. This year he said that casino cash should fund economic development positions. This funding and de-funding of the city hall economic development positions is the smoking gun that proves, beyond question, that the casino cash expenditures are written on the wind and solely in the control of Paul Dyster. With the adoption of the 2015 city budget it became clear that Mayor Dyster sees the taxpayer casino cash as his money to do with as he wishes. We now see, more clearly than ever, that he will continue to operate what in reality are two parallel, but never intersecting (unless he wants them to intersect) city budgets: one based on city casino money and the other based on "regular" city money. While the one budget suffers and taxes rise, the other budget is used to pay for train station re-bids, parking studies, new cars for city hall, awards to not for profits and other unsettled expenditures all carried out with Caesar-like authority by Dyster. It's time to call a foul on the mayor and demand an end to his absolute control of the taxpayer casino account. 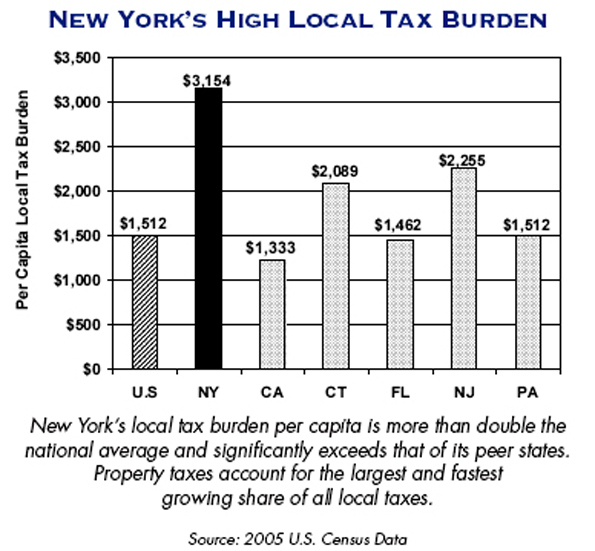 New Yorkers pay the highest average state and local taxes, at a wallet-busting $9,718 per year; that’s 39% higher than the national median. Even when adjusted for cost of living, New York still comes in dead last.